Bitcoins are in hot demand across the globe, and I will not be surprise on the increase number of cryptocurrency wallets that are being attack from unknown source on daily basis so it is important to use all necessary means to protect your wallet. In between 24 hours, we noticed an average of 240 million dollars worth of bitcoins that is traded across the globe. We will recall that a Bitcoin has gone from less than a dollar per a bitcoin in 2009 to over sixteen thousand dollars per a bitcoin in 2017 with e-commerce giants like Amazon and other reorganized platforms accepting it, as a medium of exchange. With the increase in value and demand for bitcoins comes the need for adequate security measure against criminals who are out to hijack your bitcoin wallets. That is the more reason, I come with this little tutorial of how you can go about, securing your bitcoin wallet against theft. A lot of securities measures have been put in place by blockchain to secure your wallet against unauthorized access as well as to grant you access to your account in event that you forget your wallet password, wallet ID, the email linked to your wallet, lose the phone number that linked your account or your Google authenticator (2FA). Step 3 Enter the twelve words that make up your recovery phrase (this is why it is necessary you set up when signing up for a bitcoin wallet.). Step 4 Enter your email and set new wallet password. for me I advice for a backup of all the copy and detailed informations of your bitcoin wallets as the time your created it on blockchain. ← Get Your iPhone 7 Repaired For Free, On “No Service” Issues. Hmm I don't have bitcoin however these are great tips for those who do. 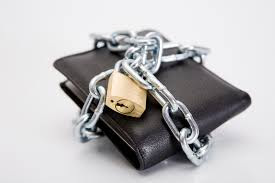 With technology advancing year after year it's important to protect and secure your information and your money!